#8 Northampton Building. St. James, District of Clerkenwell, London, England. Birth address of William Frederick Webb from the General Register Office in London, England. I must caution .... I have not checked to see if this is the original Northampton Building that was standing in 1840 when he was born. 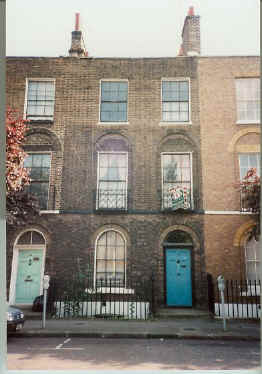 All I know is that today in Clerkenwell, this is the address that is given on WFW's "Entry of Birth". 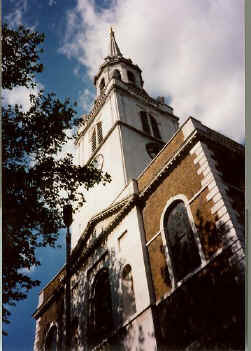 picture is of St. James Clerkenwell where William Frederick Webb was christened and baptized. In another photo that Kay (Gregory) Whitfield took, a sign in front of the church states: "There has been a Church on this site since 1100. The present building was completed in 1792."